Definition at line 497 of file conmsg.h. Definition at line 502 of file conmsg.h. 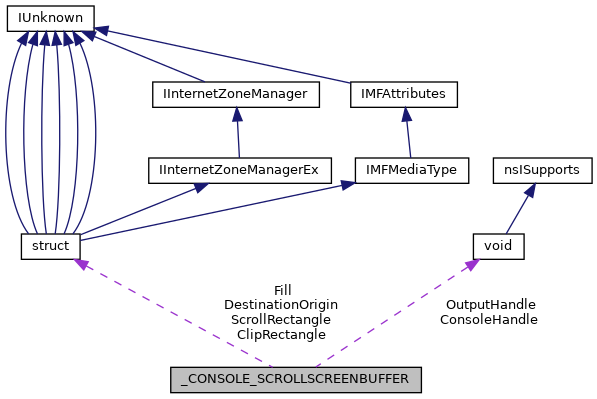 Referenced by CSR_API(), and IntScrollConsoleScreenBuffer(). Definition at line 499 of file conmsg.h. Definition at line 504 of file conmsg.h. Definition at line 505 of file conmsg.h. Definition at line 500 of file conmsg.h. Definition at line 501 of file conmsg.h. Definition at line 506 of file conmsg.h. Definition at line 503 of file conmsg.h.